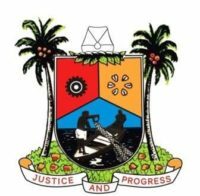 Lagos State Government has attributed the increment in its 2016 Internally Generated Revenue, IGR, compared to previous years to improved service delivery of its workforce who had been exposed to series of quality training since the beginning of the year both within and outside the country. Speaking at a 3-day Specialized Training Programme for management staff selected across the Ministries, Agencies and Departments, MDAs, in the State, the Commissioner for Establishments, Training and Pensions, Dr. Akintola Benson-Oke said that the huge investment in staff training by the present administration was informed by the realization that investment is some critical areas has multiplying effect on other important sectors. The Commissioner, who was represented by the Permanent Secretary, Office of Establishments and Training, Mrs. Folashade Ogunaike at the opening session of the training programme, added that there is an urgent need for government to be shrewd and methodical in spending public fund especially in this era of severe global financial constraints. According to him, the State Government designed its training programmes to strategically position the civil service for the enormous task of making Lagos State a prime destination for international trade. “These specialized courses have been tailored to suit the need of those in the employ of the State Government and also ensure that senior officers and policy makers across different levels of government can plan, introduce and evaluate the most up-to-date modernization thinking in public service delivery”, he added. Dr. Akintola said that the State Government was keen on moving away from the notion that citizens are just passive receivers of services but rather wants its staff to be proactive and be part of the solution in transforming the front line and driving down cost and waste in government. In his remarks, the Director of Training in the Ministry, Mr. Ayodeji Aruna acknowledged improved attitudinal change and impressive approach to the manner in which government businesses are carried out among staff. He assured residents of the State that the coming year portends improved delivery of dividends of good governance in line with the vision of the State Government. Mr. Aruna expressed delight at the series of positive feedbacks received from the over 15,000 beneficiaries of the training programmes embarked upon by the State Government since the beginning of the year, adding that the training has reflected in staff presentation skills and by extension the overall service delivery to the residents of the State. As you can www.celltrackingapps.com/ see in the unboxing photos below, apple has used a similar box for the ipad mini as the full-sized ipad.